Post-stroke arm motor function recovery progressed just as well, whether the exercises were performed via home-based telemedicine or in an office environment, according to a randomized trial discussed recently at the International Stroke Conference. Improvement in arm motor function on the Fugl-Meyer scale was 7.86 points with telerehab versus 8.36 points at day 30, which met noninferiority criteria, Steven Cramer, MD, of the University of California Irvine, reports, in a media release from Medpage Today. Arm recovery exceeded the minimal clinically important difference in both groups and didn’t differ between rehab strategies by aphasia status. “What we’re trying to do with home-based telehealth does not compete with or replace traditional rehab medicine. It is expanding tools,” Cramer adds. Treatment consisted of 36 sessions (18 supervised) of 70 minutes each, over 6 to 8 weeks. Intensity, duration, and frequency of therapy were matched between groups. Participants were randomized to therapy at home via telemedicine or in a traditional clinic setting with the same Accelerated Skill Acquisition program (impairment focused, task specific, and with intensive engagement), the release explains. For the 15 minutes of the session that was functional training, the in-clinic group got functional tasks whereas the home-based group got functional games. “This is not your father’s Wii game,” Cramer notes, in the release. The games could be set to emphasize targets in specific parts of the visual field and could vary in speed, range of motion, target size, and cognitive demand. Input devices to play the games ranged from a squeezing device to a “whack-a-mole” mallet and a gun. “I think that social interaction is going to be really important to fold into our telemedicine and telehealth platforms for whatever disease,” she adds. BACKGROUND: Telemedicine has changed over the last years, becoming an integrated service used in various clinical settings such as stroke units or radiological departments, but also as an important tool for home rehabilitation. Assessment of usefulness and efficiency of performing teleconsultations to manage stroke from acute care hospital to tertiary care rehabilitation hospital has not been referred by scientific literature. AIM: This article analyzes the process of discharging stroke patients from acute care to intensive rehabilitation, based on the comparison between conventional bedside patient evaluations and teleconsultation patient evaluations, to assess efficiency and efficacy of two different discharging workflows. SETTING: Consultations were carried out between the Acute Care Stroke Unit (ACSU) and the Stroke Rehabilitation Unit (SRU) of Valduce Hospital System. POPULATION: 257 stroke patients underwent physiatric consultation during 2 years considered in this study and 101 patients were considered eligible for intensive rehabilitation treatment after a physiatric consultation. METHODS: we compared the efficiency and efficacy of the dismission workflow of bedside medical consultation and teleconsultation over a 12 months period. We considered the following outcome measures: time elapsed between consultation and rehabilitation unit admission, number of re-admissions to acute care hospital, complications occurred during rehabilitation, length of stay in the rehabilitation hospital and clinical outcomes of rehabilitation process. RESULTS: we observed a significant reduction in waiting time from the acute event to the admission in rehabilitation department, an improvement in efficiency of the admission process itself in the rehabilitation unit and a reduction of clinical complications occurred during rehabilitation period, without changes in rehabilitative outcomes. CONCLUSIONS: it has been highlighted that the use of telemedicine to perform medical consultation as a tool to evaluate patients eligible for tertiary care rehabilitation hospital admission from stroke care unit is feasible and more efficient when compared with conventional bedside consultations. CLINICAL REHABILITATION IMPACT: this study reveals teleconsultations as a useful tool to improve efficiency of the stroke management workflow. As healthcare continues to evolve, there are changes in the delivery of care for patients with severe neurologic injuries. Although the acute hospital stay is shortening, physiatrists can play a key role in preparing patients for rehabilitation, minimizing longer-term complications and helping to determine the most appropriate paths for further treatment. Inpatient rehabilitation facilities (IRFs) continue to be an important part of the care continuum for patients with severe injuries, but the role of IRFs has also evolved as patients have been admitted with increasing medical and neurologic complexity and length of stay continues to be reduced. Skilled nursing facilities and subacute facilities continue to evolve, in part to fill the gaps that have developed for patients who are “not yet ready for rehabilitation” and for those whose recovery trajectory has been deemed too slow for IRF. Outpatient care is also changing, in part due to the availability of new rehabilitation interventions as highlighted in other sections of the supplement. Furthermore, telemedicine will provide additional options for expanding specialized care beyond prior geographical limitations. Physiatrists need to be aware of these ongoing changes and the roles that they can play outside of the traditional IRF model of care. This article will focus on the innovations in healthcare delivery and opportunities to maximize outcomes in the current and future models of care. Reinstein, L., Foto, M.E., Granger, C.V. et al, Sample Screening Criteria for Review of Admissions to Comprehensive Medical Rehabilitation Hospitals. American Academy of Physical Medicine and Rehabilitation, Chicago, IL; 1978. Medical Payment Advisory Commission. MedPAC Report to Congress: Medicare Payment Policy, March 14, 2014, p 65..
Medical Payment Advisory Commission. MedPAC Report to Congress: Medicare Payment Policy. 2003..
CMS adopts inpatient rehabilitation facility coverage requirements (2009, July 31). Available athttps://www.cms.gov/Newsroom/MediaReleaseDatabase/Fact-sheets/2009-Fact-sheets-items/2009-07-314.html..
Medical Payment Advisory Commission. MedPAC Report to Congress: Medicare Payment Policy, 2008..
Medical Payment Advisory Commission. MedPAC Report to Congress: Post-Acute Care Reform, February 17, 2014..
DaVanzo, J.E., El Gamil, A., Li, J.W., Shimer, M., Manolov, N., Dobson, A. Assessment of patient outcomes of rehabilitative care provided in inpatient rehabilitation facilities (IRFs) and after discharge. Final Report 13-127. Dobson, DaVanzo and Associates, LLC, Vienna, VA; 2014. Medicare Payment Advisory Commission (Report to the Congress). Medicare Payment Policy. July 2018..
Medical Payment Advisory Commission. MedPAC Report to Congress: Medicare and the Health Care Delivery System, June 2014, 93-119..
DeJong, G., Tian, W., Hsieh, C.H. et al, Rehospitalization in the first year of traumatic spinal cord injury after discharge from medical rehabilitation. Arch Phys Med Rehabil. 2013;94:S87–S97. Hammond, F.M., Horn, S.D., Smout, R.J. et al, Rehospitalization during 9 months after inpatient rehabilitation for traumatic brain injury. Arch Phys Med Rehabil. 2015;96:S330–S339. Guo, Y., Persyn, L., Palmer, J.L., Bruera, E. Incidence of and risk factors for transferring cancer patients from rehabilitation to acute care units. Am J Phys Med Rehabil. 2008;87:647–653. Truong, A.D., Fan, E., Brower, R.G., Needham, D.M. Bench-to-bedside review: mobilizing patients in the intensive care unit—from pathophysiology to clinical trials. Crit Care. 2009;13:216. Lord, R.K., Mayhew, C.R., Korupolu, R. et al, ICU early physical rehabilitation programs: financial modeling of cost savings. Crit Care Med. 2013;41:717–724. Giacino, J.T., Whyte, J., Bagiella, E. et al, Placebo-controlled trial of amantadine for severe traumatic brain injury. N Engl J Med. 2012;366:819–826. Granger, C.V., Markello, S.J., Graham, J.E., Deutsch, A., Reistetter, T.A., Ottenbacher, K.J. The uniform data system for medical rehabilitation report of patients with traumatic brain injury discharged from rehabilitation programs in 2000–2007. Am J Phys Med Rehabil. 2010;89:265–278. National Spinal Cord Injury Statistical Center, Facts and Figures at a Glance. University of Alabama at Birmingham, Birmingham, AL; 2015. Shoolin, J.S. Clinical decision support and the electronic health record—Applications for physiatry. PM&R. 2017;9:S34–S40. Stefanacci, R.G. Admission criteria for facility-based post-acute services. Ann Long-Term Care Clin Care Aging. 2015;23:18–20. Dobson-DaVanzo. Available at https://www.cms.gov/Outreach-and-Education/Medicare-Learning-Network-MLN/MLNProducts/downloads/Inpatient_Rehab_Fact_Sheet_ICN905643.pdf. Accessed June 26, 2018..
Alcusky, M., Ulbricht, C.M., Lapane, K.L. Post acute care setting, facility characteristics, and post stroke outcomes: A systematic review. Arch Phys Med Rehabil. 2018;99:1124–1140. Werner, R.M., Konetzka, R.T. Trends in post-acute care use among Medicare beneficiaries: 2000-2015. J Am Med Assoc. 2018;319:1616–1617. Xian, Y., Thomas, L., Liang, L. et al, Unexplained variation for hospitals’ use of inpatient rehabilitation and skilled nursing facilities after an acute ischemic stroke. Stroke. 2017;48:2836–2842. Stein, J., Bettger, J.P., Sicklick, A., Hedeman, R., Magdon-Ismail, Z., Schwamm, L.H. Use of a standardized assessment to predict rehabilitation care after acute stroke. Arch Phys Med Rehabil. 2015;96:210–217. Parmanto, B., Saptono, A. Telerehabilitation: State-of-the-art from an informatics perspective. Int J Telerehabil. 2009;1:73–84. Dinesen, B., Haesum, L.K.E., Soerensen, N. et al, Using preventive home monitoring to reduce hospital admission rates and reduce costs: A case study of telehealth among chronic obstructive pulmonary disease patients. J Telemed Telecare. 2012;18:221–225. Piotrowicz, E., Baranowski, R., Bilinska, M. et al, A new model of home-based telemonitored cardiac rehabilitation in patients with heart failure: Effectiveness, quality of life, and adherence. Eur J Heart Fail. 2010;12:164–171. Dobkin, B.H., Dorsch, A.K. The evolution of personalized behavioral intervention technology: Will it change how we measure or deliver rehabilitation?. Stroke. 2017;48:2329–2334. Ackerman, M.J., Filart, R., Burgess, L.P., Lee, I., Poropatich, R.K. Developing next-generation telehealth tools and technologies: patients, systems, and data perspectives. Telemed J E Health. 2010;16:93–95. Chen, J., Jin, W., Zhang, X.X., Xu, W., Liu, X.N., Ren, C.C. Telerehabilitation approaches for stroke patients: Systematic review and meta-analysis of randomized controlled trials. J Stroke Cerebrovasc Dis. 2015;24:2660–2668. Fortune, E., Lugade, V., Morrow, M., Kaufman, K. Validity of using tri-axial accelerometers to measure human movement—Part II: Step counts at a wide range of gait velocities. Med Eng Phys. 2014;36:659–669. Peretti, A., Amenta, F., Tayebati, S.K., Nittari, G., Mahdi, S.S. Telerehabilitation: Review of the state-of-the-art and areas of application. JMIR Rehabil Assist Technol. 2017;4:1–9. Larson, E.B., Feigon, M., Gagliardo, P., Dvorkin, A.Y. Virtual reality and cognitive rehabilitation: a review of current outcome research. NeuroRehabil. 2014;34:759–772. Rose, F.D., Brooks, B.M., Rizzo, A.A. Virtual reality in brain damage rehabilitation: review.Cyberpsychol Behav. 2005;8:241–262. Jagos, H., David, V., Haller, M. et al, A framework for (tele-) monitoring of the rehabilitation progress in stroke patients: eHealth 2015 special issue. Appl Clin Inform. 2015;6:757–768. Linder, S.M., Rosenfeldt, A.B., Bay, R.C., Sahu, K., Wolf, S.L., Alberts, J.L. Improving quality of life and depression after stroke through telerehabilitation. Am J Occup Ther. 2015;69:1–10. Rasmussen, R.S., Ostergaard, A., Kjaer, P. et al, Stroke rehabilitation at home before and after discharge reduced disability and improved quality of life: A randomized controlled trial. Clin Rehabil. 2016;30:225–236. Purpose: This abstract reports a qualitative study on a home-based stroke telerehabilitation system. The telerehabilitation system delivers treatment sessions in the form of daily guided rehabilitation games, exercises, and stroke education at the patient’s home. Therapists examine patients then establish regular videoconferences with them via the system to discuss their progress, provide feedback, and adjust treatment. The aims of this study were to investigate patients’ general impressions about the benefits of and barriers to using the telerehabilitation system at home. Methods: We used a qualitative study design that involved in-depth semi-structured interviews with 10 participants who had completed a 6-week intervention using the telerehabilitation system. Thematic analysis was conducted using the grounded theory approach. Results: Participants mostly reported positive experiences with the telerehabilitation system. Benefits included observed improvements in limb functions and provision of an outlet for mental tension and anxiety. They mainly valued the following four merits of the system: engaging game experience, flexibility in time and location in using the system, having the therapists accountable, and having less burden on caregivers. In particular, all participants rated highly their experience using the videoconference capability, which provided a channel for therapists to observe, correct, and provide feedback and encouragement to patients. Most patients expressed that they established a personal connection with the therapist through use of the telerehabilitation system. By doing so, they felt less isolated and more positive and connected. Finally, communicating with therapists three times a week also held patients accountable for completing the exercises. Barriers to system use were all logistics-related, such as the lack of physical space at home, which impeded effective use, and poor internet connection at home. Conclusions: The telerehabilitation system studied provides patients with home-based access to games, exercises, education, and therapists. Based on participants’ qualitative feedback, it is a promising tool to deliver stroke rehabilitation therapies effectively and remotely to patients at home. ePHoRt is a project that aims to develop a web-based system for the remote monitoring of rehabilitation exercises in patients after hip replacement surgery. The tool intends to facilitate and enhance the motor recovery, due to the fact that the patients will be able to perform the therapeutic movements at home and at any time. As in any case of rehabilitation program, the time required to recover is significantly diminished when the individual has the opportunity to practice the exercises regularly and frequently. However, the condition of such patients prohibits transportations to and from medical centers and many of them cannot afford a private physiotherapist. Thus, low-cost technologies will be used to develop the platform, with the aim to democratize its access. By taking into account such a limitation, a relevant option to record the patient’s movements is the Kinect motion capture device. The paper describes an experiment that evaluates the validity and accuracy of this visual capture by a comparison to an accelerometer sensor. The results show a significant correlation between both systems and demonstrate that the Kinect is an appropriate tool for the therapeutic purpose of the project. 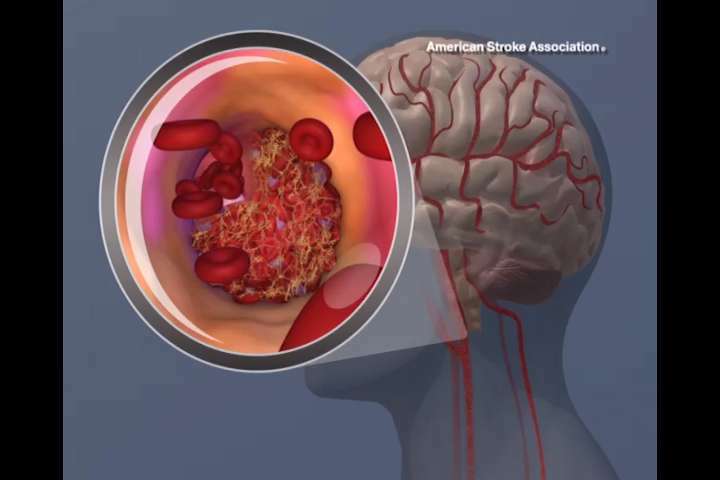 Stroke patients are often affected by hemiparesis. In the rehabilitation of these patients the function of the hand is often neglected. Thus in this work we propose a robotic approach to the rehabilitation of the hand of a stroke patient in hospital and also at home. Some experimental results can be presented here especially for inpatients. Further experimental results on home-patients must be acquired through a telemedicine platform, designed for this application. Background: Telemedicine applications have been increasing due to the development of new computer science technologies and of more advanced telemedical devices. Various types of telerehabilitation treatments and their relative intensities and duration have been reported. Objective: The objective of this review is to provide a detailed overview of the rehabilitation techniques for remote sites (telerehabilitation) and their fields of application, with analysis of the benefits and the drawbacks related to use. We discuss future applications of telerehabilitation techniques with an emphasis on the development of high-tech devices, and on which new tools and applications can be used in the future. Results: Telerehabilitation can be considered as a branch of telemedicine. Although this field is considerably new, its use has rapidly grown in developed countries. In general, telerehabilitation reduces the costs of both health care providers and patients compared with traditional inpatient or person-to-person rehabilitation. Furthermore, patients who live in remote places, where traditional rehabilitation services may not be easily accessible, can benefit from this technology. However, certain disadvantages of telerehabilitation, including skepticism on the part of patients due to remote interaction with their physicians or rehabilitators, should not be underestimated. Conclusions: This review evaluated different application fields of telerehabilitation, highlighting its benefits and drawbacks. This study may be a starting point for improving approaches and devices for telerehabilitation. In this context, patients’ feedback may be important to adapt rehabilitation techniques and approaches to their needs, which would subsequently help to improve the quality of rehabilitation in the future. The need for proper training and education of people involved in this new and emerging form of intervention for more effective treatment can’t be overstated. In the last few years, telemedicine applications have been increasing due to the development of new computer science technologies and of more advanced telemedical devices. Long-distance communication can be easily achieved by videoconferencing, email, and texting, to name a few. Today there is the possibility of controlling robots, robotic arms, or drones at a distance. Thanks to these advancements, the course of human action has been considerably transformed . During the last 20 years, demographic changes and increased budget allocation in public health have improved new rehabilitative practices . Rehabilitation is an old branch of medicine, but in the last few years, new telecommunication-based practices have been developed all over the world. These particular approaches in the field of rehabilitation are commonly defined as telerehabilitation, which should be considered as a telemedicine subfield consisting of a system to control rehabilitation at a distance . Telerehabilitation has been developed to take care of inpatients, transferring them home after the acute phase of a disease to reduce patient hospitalization times and costs to both patients and health care providers. Telerehabilitation allows for treatment of the acute phase of diseases by substituting the traditional face-to-face approach in the patient-rehabilitator interaction . Finally, it can cover situations in which it is complicated for patients to reach traditional rehabilitation infrastructures located far away from where they live. Controlled studies on rehabilitation have demonstrated that quick management of an injury or a disease is critical to achieve satisfactory results in terms of increasing a patient’s self-efficacy. Hence, a rehabilitation program should start as soon as possible, be as intensive as possible, be prolonged, and continue during the recovery phase. A major factor is the initiation time, which, in general, should begin as soon as possible. In most cases, the initial stages of rehabilitation, after the occurrence of a disease or injury, could be performed by patients at home even if they need accurate and intensive treatment. For these reasons, telerehabilitation was developed to achieve the same results as would be achieved by the normal rehabilitation process at a hospital or face to face with a physiotherapist. Various types of telerehabilitation treatments and their relative intensities and duration have been reported . The first scientific publication on telerehabilitation is dated 1998 and, in the last few years, the number of articles on the topic has increased, probably because of the emerging needs of people and due to the development of exciting new communication and computer technologies. Figure 1 shows the number of patients treated through telerehabilitation from 1998 to 2008 according to studies published in the international literature . A remarkable increase in the number of patients treated by telerehabilitation is noticeable from 2002 to 2004. After a subsequent decrease, the number of patients assisted by telerehabilitation increased starting from 2007, probably due to the support of new technologies and the overcoming of the initial skepticism to which every new technology is subjected. Telerehabilitation is primarily applied to physiotherapy [6,7], and neural rehabilitation is used for monitoring the rehabilitative progress of stroke patients . Telerehabilitation techniques mimic virtual reality [9–12] and rehabilitation for neurological conditions by using robotics and gaming techniques . Quite often, telerehabilitation has been associated with other nonrehabilitative technologies such as remote monitoring of cardiovascular parameters, including electrocardiogram (ECG), blood pressure, and oxygen saturation in patients with chronic diseases . These technologies belong to another telemedicine branch called telemonitoring, which has been widely developed and used in recent years. A few studies were also centered on the economic aspects of the use of telerehabilitation to reduce the costs of hospitalization . We reviewed the status and future perspectives of telerehabilitation by analyzing their impact on patients’ everyday life. The main topics taken into account were (1) the status of telerehabilitation and analysis of the main medical specialties where it is being applied, (2) quality-of-life improvement due to telerehabilitation, and (3) the future of telerehabilitation. Figure 1. Number of patients treated from 1998 to 2008 through telerehabilitation techniques.